The Dutch Army is being absorbed into the German military, and Poland’s could be next. This was the first time ever that European country has handed part of its army over to another country. “Never before has a state renounced this elementary and integral part of its sovereignty,” wrote Die Welt’s political editor, Thorsten Jungholt. The hour has come, finally, for concrete steps towards a European Army. Now, Germany is making it clear that this was not an isolated event. Instead, it is a pattern Germany intends to follow as it absorbs more units from foreign militaries. “Germany is driving the European Army Project” was the title of Jungholt’s Die Welt article. Never before has a state renounced this elementary and integral part of its sovereignty. In Austria, this cooperation is mainly in the form of “mountain-specific” activities, he continued, but “a more intensive … cooperation … in a form similar to the Netherlands” is being considered with Poland. The two nations have agreed “to study the exchange of units/organizations,” Kasdorf wrote. Germany’s Defense Minister Ursula von der Leyen has a similar goal. “Today we embark a new era of integration,” she said as the Dutch Airmobile brigade official joined the German Army back in June. “This cooperation will continue and even intensify. Our new partnership can also be seen as a model for Europe and its common security and defense policy,” she announced. In his letter, General Kasdorf wrote that Germany is a “driver and a pioneer” when it comes to international cooperation between armed forces. 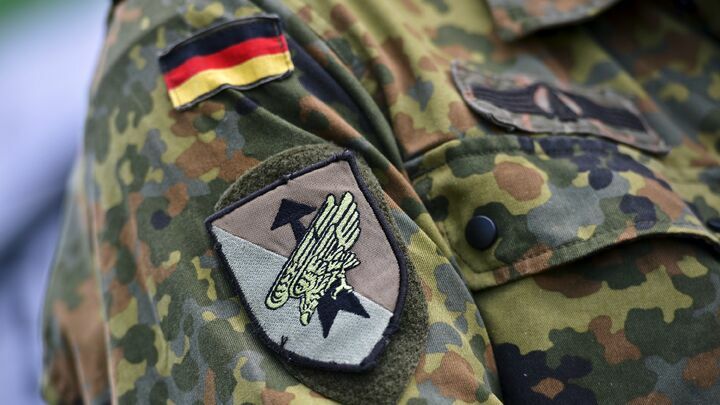 Germany was already working on a European army before the Ukraine crisis. Now, there is a new urgency.